Heeft u een vraag voor Seoul Mansion Guesthouse? Of u nu een toerist bent of een zakelijke reiziger, Seoul Mansion Guesthouse is een uitstekende accommodatie tijdens een bezoek aan Seoel. Op slechts 55KM afstand, kan dit 1.5-sterren hotel eenvoudig worden bereikt vanaf het vliegveld. Met de belangrijkste attracties van de stad - zoals Daean Gonggan Roof, Trick Eye Museum, Dress Cinema - binnen handbereik, zullen bezoekers van het hotel de locatie waarderen. Het Seoul Mansion Guesthouse biedt een onberispelijke service en alle essentiële voorzieningen om reizigers een plezierig verblijf te bieden. De topfaciliteiten van het hotel omvatten gratis wi-fi in alle kamers, snel in- en uitchecken, bagageopslag, wi-fi in openbare ruimtes, parkeerservice. Ervaar kamerfaciliteiten van hoge kwaliteit, inclusief plasma tv, internet (draadloos), draadloos internet (gratis), rookvrije kamers, airconditioning, om tot rust te komen na een lange dag. De complete lijst met recreatiemogelijkheden is beschikbaar in het hotel, inclusief massage, tuin. Met een ideale locatie en bijpassende faciliteiten, is het Seoul Mansion Guesthouse voor veel gasten precies wat zij zoeken. all were good, very close to metro station and easy to go everywhere, easy to find food. my room was okay, clean, wifi also worked so fine. we booked twin room and for us it's not too small, but the bathroom was. too bad seems no place to enjoy the breakfast, we need to either bring the breakfast to our room or sitting on the stair in the breakfast area. 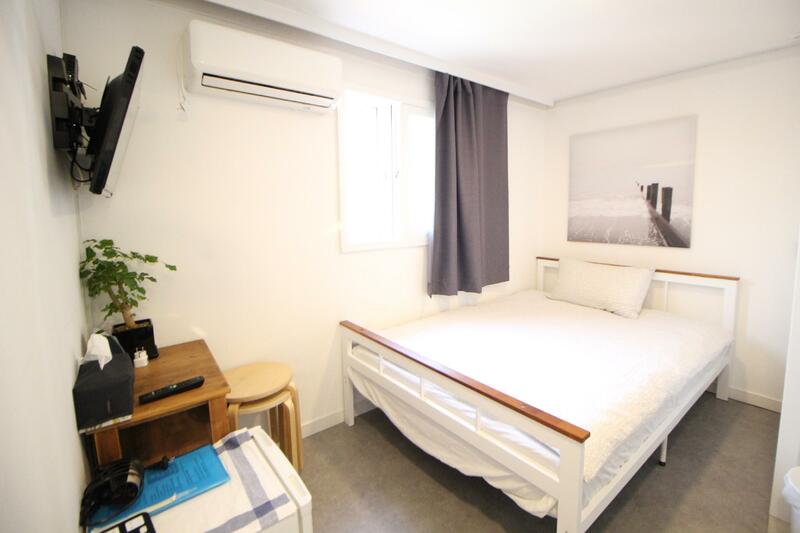 Pros: *3 mins walking distance from Hongik University station from exit 3. So, easy to access everywhere. *Easy to check in/Check out Cons: * No housekeeping service. Notice board in the room indicates there is light sweeping and clearing trash bin within sudden time slot of the days and towels will be changed if we put on the floor. It never happened within 3 days that we stayed. We threw trash by ourselves. And it never happened to change the towels from our room too. * The room is cold .You cannot come back to the room for the nap or rest in the day time in the room as staff claimed heater only turn on at night. I only feels warm and comfortable on the first night only. The other 2 days & nights, the room temp is low and I put 2 heat pads in the blanket to keep warm myself. Dear guest, i am so sorry, if you feel uncomfortable to stay in Seoul Mansion. I will shear your message to our staff and we will fix it as soon as possible. I will try to be more best for my guest. Actually we change the towels and throw the garbage in the bin if guest put the cleaning card on the outside of the room door. Maybe you was forget to put on the door. If you come back agian, we will do best for you. The location was accessible and convenient. It was near on the bus and subway train station. Staff were very friendly and helpful, Rooms were clean and well equipped. Possible for our next visit we’ll definitely stay there again. Great location. Easily accessible from airport direct via all-stop train. Short walk from Hongkik University Station exit 3. Comfortable bed. Breafast provided. Room come with own wifi. Do note that toilet is small. There is no elevator but building is only 3 storey. Location is pretty good, situated near Hongdae station, and directions available on website is very clear! (Family) Room is rather small though, and toilet is also quite cramp with a flimsy door. There is a rooftop that guests can make use of, a cosy area, although there isn't much of a view. Breakfast is served everyday, variety as shown in photos, and we happened to visit over Chuseok (mid-autumn festival) so traditional snacks were provided on that day as well. Staff is very friendly and we were lucky to meet a Singaporean so she's bilingual in English and Chinese, making communication smooth. Attended to our concerns promptly and even helped us order delivery when requested. Main issue would be the unstable wifi in the room and we had to try to connect to other rooms constantly. Overall still a pleasant stay! The price is value for money. I stayed single room, It has a bathroom inside, it's little tiny, but it’s ok because the room they’ve 1 sofa and 1 bed. the facilities are good they’ve TV, hairdryer, high speed wifi, towels, bathroom equipment and I love the little kitchen corner they’ve scissors, knife, kettle, electronic gas, electronic pan, water purifier, sink and shelves. the guesthouse, very close to subway, mini mart, restaurant, market, department store and currency exchange shop. you can walk there for 5 minutes. While it is away from the busy area of Hongdae, it is conveniently located at just 5 min away from one of the exit of Hongdae station. The guesthouse provides laundry service at a small fee and the daily breakfast were simple toasts, cereal and fruits which were rather decent. The rooms were clean and the beds were comfortable as well. The only downside is that there's no lift which might be a problem for those with heavy luggage but no biggie. Overall, I would recommend this place to others too. The location is really nice, only a few minutes from the subway exit. The staff was very nice with many channels to communicate with them. (Line, Kakao, etc) So literary can support us anytime. The lock system was also very convenient, just get the password and you can get into the room. Near the subway station. Near cafes & convenience store. Just need to change the exit to go to the hongdae university area. Super clean. Loved the simple breakfast. Wifi was good. Friendly & helpful staff. Really liked staying here. Definitely coming back next time. Seoul Mansion has whatever it takes for a good guesthouse. in terms of location, it is just right opposite Exit 3 of Hongdae subway station. Plus point will be that is one of the subway exit WITH escalator. I'm feel blessed for this after the horrible experience with Anguk subway station with my luggage. hahaha Thus it is only few minutes walk and u can reach the center of HongDae with lots of shoppings and good food!! The room is clean and well equipped with whichever daily basic needed. there is up to 5 power plugs (i m so happy with this as the guesthouse we previously stayed in before seoul mansion only have 2 and i have lots of gadgets to charge). The toiletries supplied are good. me and my friend even asked which brands are they supplying as it makes our hair so smooth. Seoul mansion serves simply breakfast (toasts, muffins, fruits, juice, cereals, milk) but its really sufficient for a kick start in the morning. i personally love the muffins and fresh fruits. the staffs are very helpful. i will definitely come back for another stay with Seoul Mansion. It was great. staff was very helpful and they were able to recommend and assist us with funtastic tours. 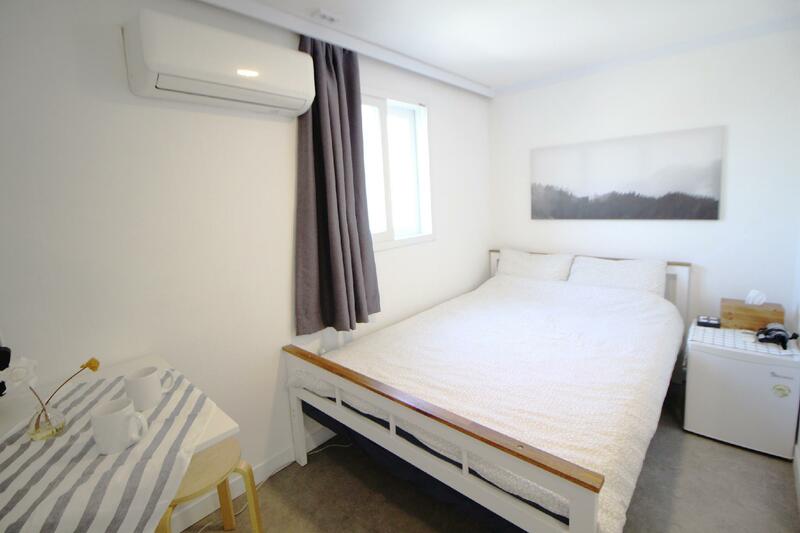 The duplex ensuite is very good for groups and it had a washing machine. great for ling stays. good muffins as well. This is a central located hotel with spacious, comfortable and well equipped rooms and comfortable beds. Delicious breakfast. The staff is extremely professional and service minded. Location-wise, it is near to shopping, sightseeing, metro and fantastic restaurants. This was our second stay at this hotel and we´ll always return when visiting. 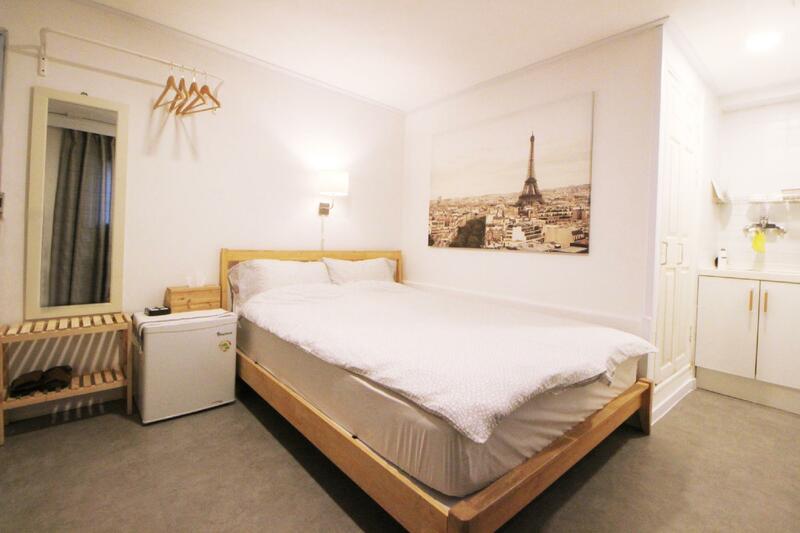 I would recommend to my friends who are looking for an affordable hotel in the city! It was awesome. The front desk staff and boss were really helpful. Even before I reached, I had received two emailed from them confirmationing my stay and detailed directions to get their by bus/train/taxi and by walking, that's how detailed it was! I wanted to go to a salon and the boss brought me to a salon nearby and help me to translate. This place really feels like a home! When I step into my room I immediately love it! Sofa by the side, comfy bed and there's a small area with basin, plates etc where u can order food to your room ( front desk can help you) or you bring back take away and will need the plates and bowls. Some of the best food are from deliveries like zha jiang mien. Internet is exceptionally fast and there's a working desk with TV on it. No keys needed , you will need to have two sets of code to enter the mansion and your room. 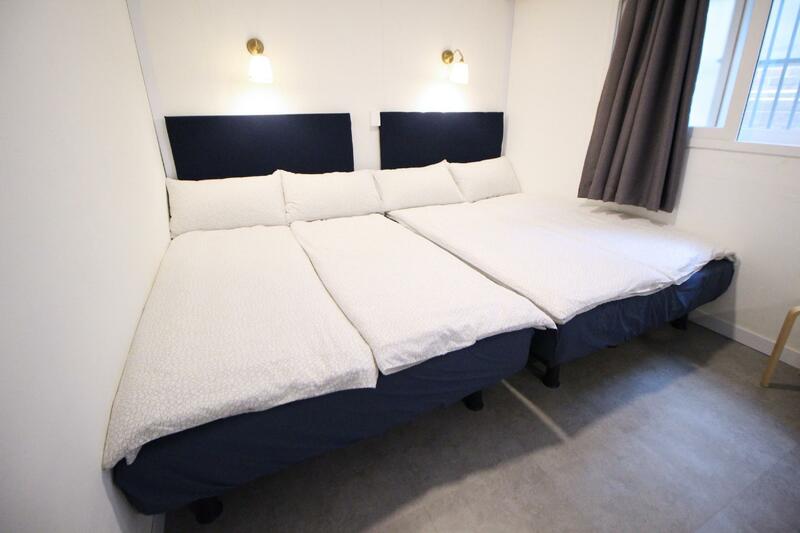 What I like is that is is not expensive, yet it is not a hostel style, it feels more like an apt. There's a great rooftop terrace where u can chill with your friends. There are 3 floors with no lift, so if you have heavy luggage you will need to endure that few steps. Toilet is extremely small which is the biggest downside of the place. But you will probably have no time to stay long in there cos you will be out shopping all the time. Near the hotel are loads of coffee places and across the road is the Hondae area which have loads of food and streetwise performance and shops to shop. 3mins walk to hit the subway/railway (to airport). Will definitely choose this place again! We love staying here so much. It’s very close to hongik station so we can go shopping and go back to leave our things again and go out again easily xD Hosts are nice and very funny. She’s taking care of us well and helping us when we lost something. Breakfast was great (hope to have more protein! But are fruitful with bread and fruits) Our room is deluxe which is on 1st floor and it was bug enough for us. TV, refrigerator, kettle are in the room as well as water. Rooftop is very special and we can enjoy talking, eating and enjoying the air in the night. We will visit again for this very close to station guesthouse! Value for money. One thing you shouldn’t miss - the view at the rooftop! A very clean guesthouse with very good location, love it. Helpful staff also. Definitely will stay in again if happens to be in hongdae again.